Spaceship Crayon Making Kit using Soy Wax, Reusable Molding Putty. 6 oz. of Soy Wax Crayons in Red, Blue, Yellow, Black, Brown, and Green crayon colors in the kit. Educational, STEM. 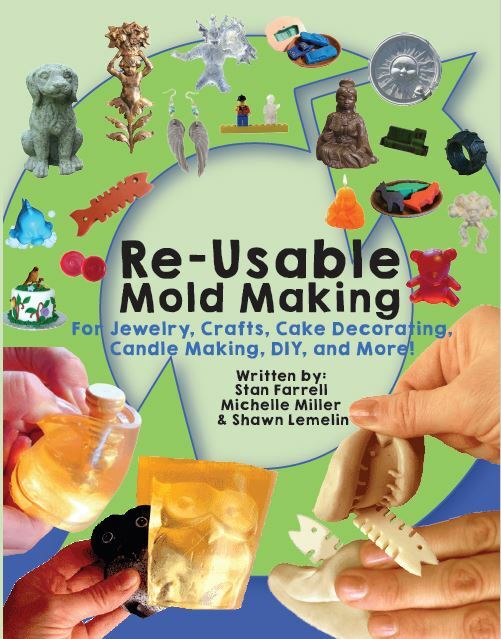 Learn the science, engineering, and art of Mold Making. Make something real, cool, and uniquely YOU. You can make 3 finger molds and 8 to 14 crayons with one kit. You will need to supply your own finger and a way to melt the crayon wax such as a microwave or stovetop.